“[A] fantastic evocation of the life of a pair of twins whose mother was a nun and father an English surgeon. The twins both grow up to be doctors and become patients in a ground-breaking organ transplant which is both the tragic and triumphant end of the novel. Verghese’s medical expertise informs and enlivens much of this story. 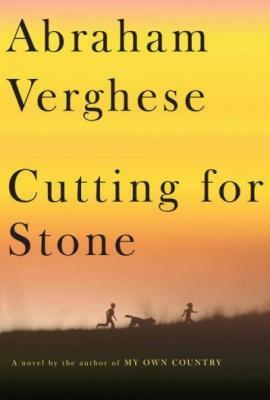 He describes the death of Sister Mary Joseph Praise while giving birth to the twins in lavish detail. . . . [Verghese] is a particular hybrid creature, both novelist and physician, and has a style and magic all his own. Written with a lyrical flair, told through a compassionate first-person point of view, and rich with medical insight and information, [Cutting for Stone] makes for a memorable read.